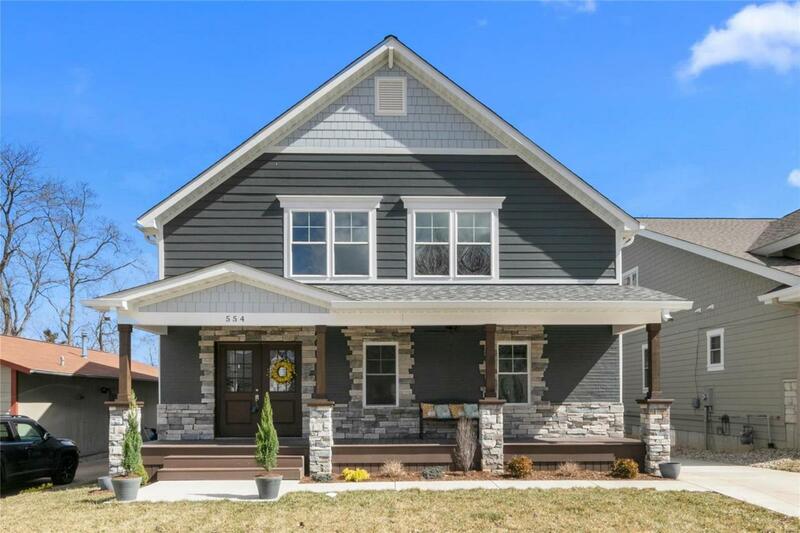 From the moment you step onto the inviting front porch of this thoughtfully designed Kirkwood Craftsman, you are overwhelmed w/ the beauty and features it has to offer. Hickory hardwood runs through the home. Ktch offers a sprawling center island covered in gorgeous granite, 42 custom cabinetry, SS Kitchenaid appliances, walk-in pantry, wine rack & is open to the dining & living space which offers a gas frpl plus 2 sets of French doors that open onto the large deck. The Master Suite is simply stunning...designer tile, free standing soaker tub, walk-in shower & marble-covered double vanity give it the feel of a luxury hotel. Climb the exquisite wooden staircase to the vaulted loft area which leads to the spacious & uniquely designed bedrooms, all with hardwood & interesting architectural detail. Detached 2 car garage, expansive deck, fenced yard & in the heart of Kirkwood, which offers numerous dining, shopping and entertainment options...not to mention top rated schools.